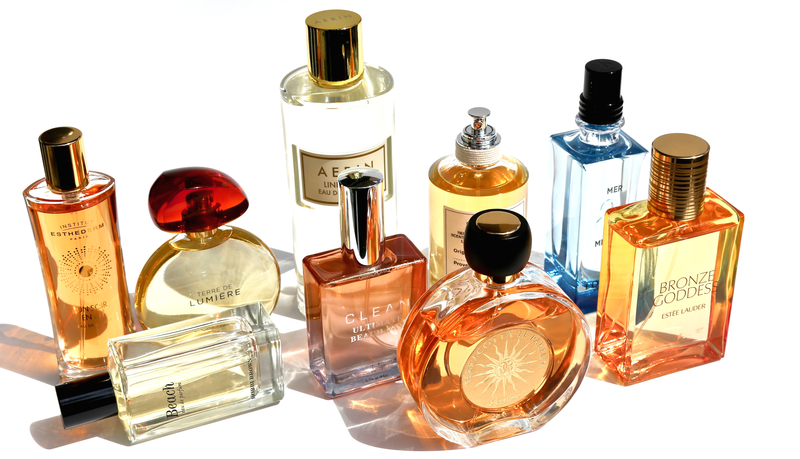 When it comes to fragrances, my tastes tend to definitely run beachy; anything with vanilla, coconut, tiaré flower or a combination of all three, and I’m a goner. Personally, I like to wrap myself in Summeriness all year long and in honour of the season, I’ve rounded up a few of my faves to show you. 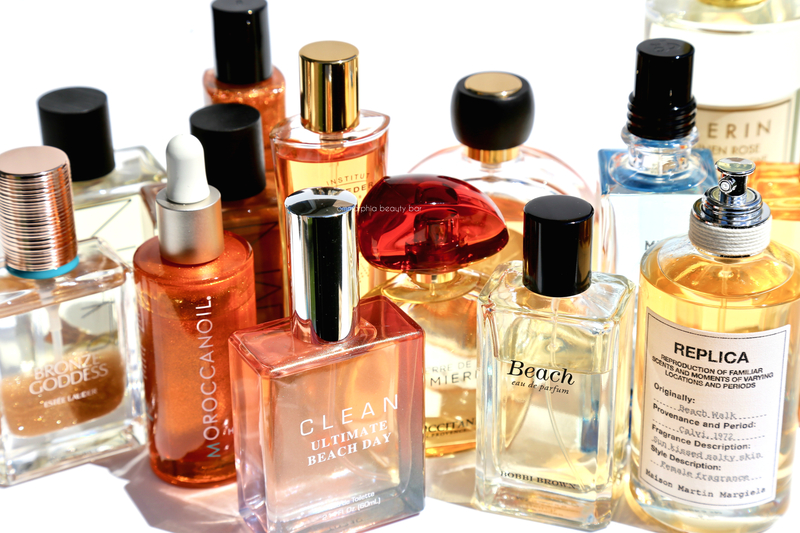 Some are new, some I’ve gone through multiple bottles of, and a couple have even been pilfered from my daughter (good thing we like similar scents). It’s a given: gourmand Summer fragrances and I were meant to be together, and all it takes is one spritz to instantly transport me to some dreamy & sunny tropical locale. That said, not all scents are created equal as some may lean more towards the suntan lotion end of the spectrum, others hint at a frothy Piña Colada, and a few come off as more elemental, calling to mind a salty seaside breeze. First up are the true “beachies” — of course, it doesn’t hurt that they actually have the word beach in their name. Beach Eau de Parfum, Bobbi Brown (CAN $88.00/50 ml) | Key notes include sand, jasmine, sea spray and mandarin. A best-seller for the brand from the day it first launched, this essentially captures all the elements of a day at the beach: simple to recognize & totally easy to wear. Ultimate Beach Day, Clean (CAN $74.00/60 ml) | Inspired by a carefree day at the beach, this refreshing fragrance offers a citrus floral escape. The scent opens with summery notes of mandarin orange, Italian bergamot, lemon, and Kaffir lime. The heart mellows into a bouquet of white rose, tuberose, soft neroli, jasmine, African orange blossom, and lavender. Crisp seaside notes add subtle bite to balance the softness of the flowers. The dry down embraces with notes of amber, musk, and sun-soaked sand. To me, the initial spritz comes off as 100% suntan lotion, but then mellows out and becomes more along the lines of sun-warmed skin (beach-side, naturally). 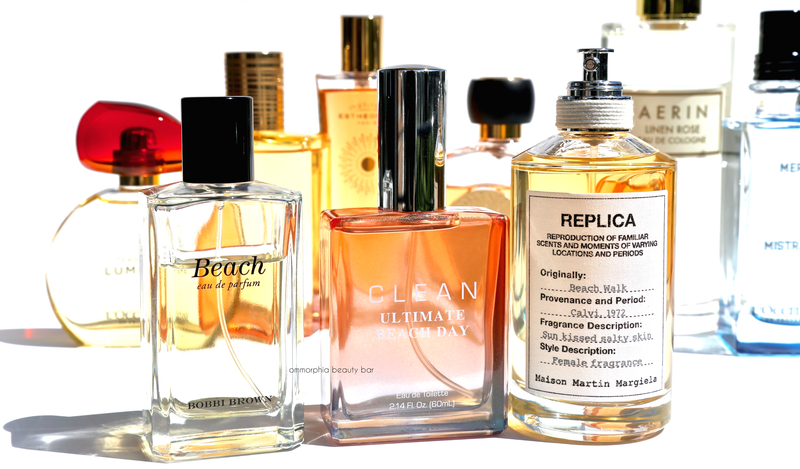 Beach Walk, Replica (CAN $145.00/100 ml) | Key notes include: Bergamot, Pink Pepper, Lemon, Ylang Ylang, Coconut Milk, Heliotrope, Musk, Cedarwood, Benzoin. Opening up with a fresh and almost citrusy hit, it then begins to develop into a unique aquatic but with the creaminess of the coconut milk to soften out any ozonic qualities. Not your usual ‘suntan lotion’ scent, but something almost nostalgic — like your favourite beach memory captured in a bottle. Bronze Goddess Eau Fraîche Skinscent, Estée Lauder (2016 edition, no longer available) | Top notes: Juicy Mandarin, Sicilian Bergamot, Lemon, Pulpy Orange. Heart: Tiare Flower, Jasmine, Magnolia Petals, Orange Flower Buds, Lavender. Base: Amber, Coconut Milk, Sandalwood, Vanilla, Vetiver, Myrrh. Personally, it really doesn’t get more ‘beachy’ than this and while it can lean a little strong on me (solved by applying only a light spritz), I adore how warm and perfectly fitting for the theme it is. Un Soir en Été Eau de Parfum, Institute Esthederm (2016 edition, no longer available) | The perfume opens with a combination of Mediterranean citrus fruits that include bergamot, lemon, orange and Clementine. Black plum and coconut create the illusion of sun kissed skin. The sunny floral heart contains aromas of vanilla, ylang-ylang, tuberose, refreshing grapefruit flower and carnal Indian jasmine. The elegant and milky – sensual trail in the base contains notes of sandalwood, vanilla, amber, caramel, benzoin and pure white musk. Interestingly, I only prefer wearing this in the evening — making truly well-named, indeed. Terracotta Le Parfum, Guerlain (CAN $92.00/100 ml) | Key notes include: Bergamot, Tiaré Flower, Ylang-Ylang The composition is comprisesd of solar floral tones. It opens with accords of bergamot, coconut and tiare flower. Its heart includes white florals such as jasmine, ylang-ylang and orange blossom, laid on the sultry base of musk and vanilla. Personally, I have gone through at least 3 bottles (and counting) of this scent and it is still the one I reach for the most … all year round. Terre de Lumière Eau de Parfum, L’Occitane en Provence (CAN $85.00/50 ml) | Inspired by the ‘Golden Hour’ this is the first gourmand fragrance from the brand and it bears a unique combination of both zesty and edible tones. Both fresh and warm, it starts off with the yumminess of almond and honey, moves on to an unexpected lavender-honey heart and finally simmers down to a more sensual balsamic and musky base. At once grown up yet so totally carefree — think: Summer evening in Provence. Mer & Mistral, L’Occitane en Provence (no longer available) | a unisex fragrance, which blends aquatic notes with aromatic union of cypress, rosemary and pine. 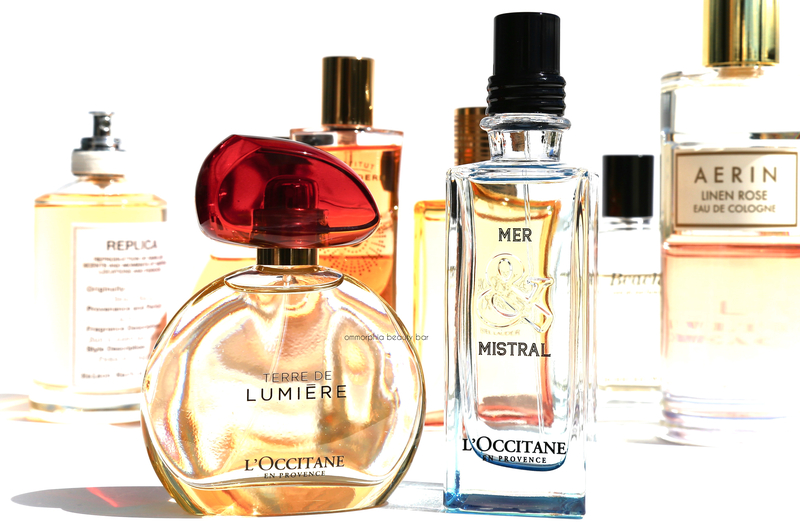 Purity that comes from sea aromas and aquatic notes is elevated by freshness of Mistral. Strength of this wind lifts up fragrant tree needles and plays with them in the air by mixing them with scents of salty sea aromas and fresh, aromatic herbs. The composition that illustrates union of the sea and the wind Mistral opens with a citrus union of lemon and tangerine followed by cypress and pine in the heart enriched with rosemary. The base is sensual and tame, created of white amber, cedar and musk. 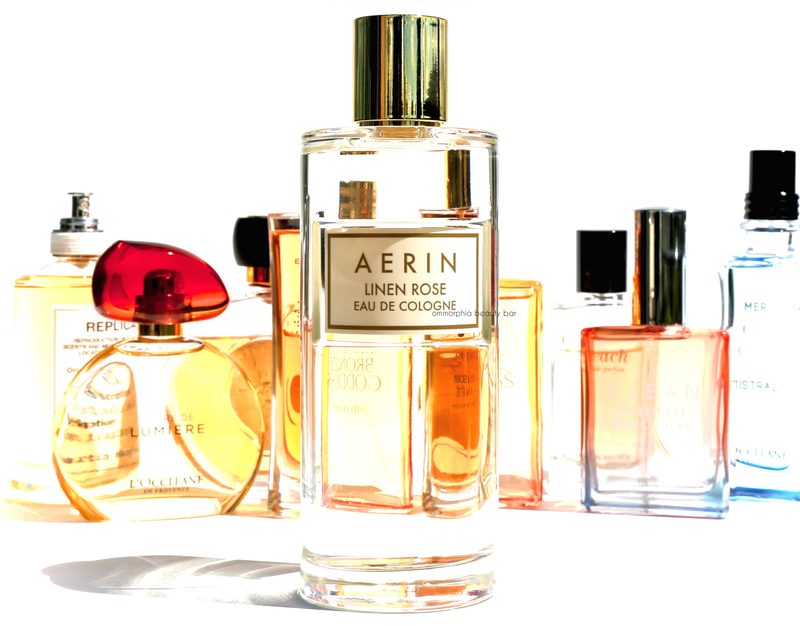 Linen Rose Eau de Cologne, Aerin (CAN $215.00/200 ml) | Top notes are sea salt, sea notes and orange blossom; middle notes are bulgarian rose, ylang-ylang, coconut nectar and rose oil; base notes are vanilla and amber. A definite departure from your usual florals, this fragrance perfectly embodies what I like to call ‘beach rose’ along with the scent of fresh linens drying in the breeze — it’s truly a unique amalgamation of the two vibes, making it pretty original in my collection. On those sweltering days where I don’t really want to be surrounded by too strong a scent but still want that Summery feel, I reach for a body oil — preferably one that calls to mind the beach as always, with shimmer in the mix for an extra-special touch of glow. The advantages here are several; an oil offers long-lasting moisturizing properties while still giving off a subtle tropical vibe — so perfect to soothe surf-side parched skin. 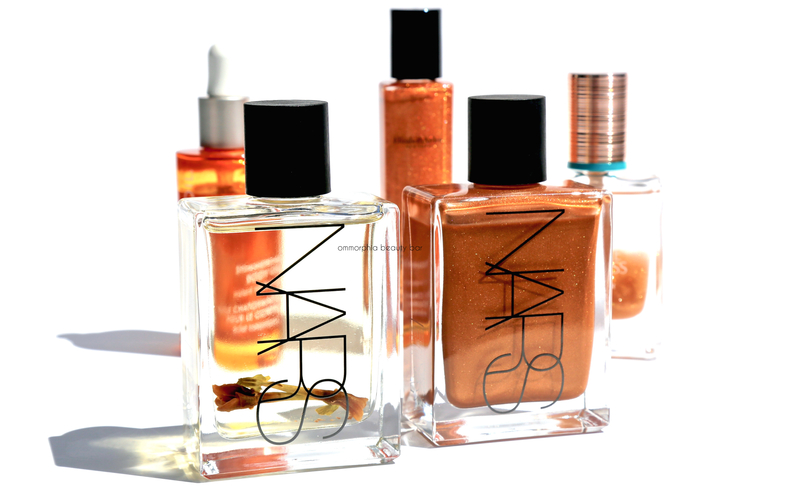 Bonus: when heading out later in the evening, an oil with shimmer will give you some serious Goddess skin too. Monoï Body Glow I (CAN $76.00) | Infused with traditional Monoï de Tahiti oil that has a bud of Tiaré flower soaked in the finest Polynesian coconut oil, it is then blended with ultra fine chocolate shimmer for a truly decadent feel & glow. Key notes include: tiaré blossom, white frangipani, ylang-ylang, and vanilla. Monoï Body Glow II (CAN $76.00) | Basically the same composition as above, with the obvious exception of no shimmer in the mix. Can also be used as a massage oil. Shimmering Body Oil, Moroccanoil (CAN $54.00) | With a blend rich in argan and sesame oils, this proprietary formula feels lightweight and is quickly absorbed into the skin, leaving behind a softly shimmering veil. Best part: it bears the brand’s signature fragrance (totally swoon-worthy). Dare to Bare Body Bronzing Oil, Elizabeth Arden (CAN $45.00) | Infused with the scents of both vanilla & coconut (yum), this contains a blend of luxurious and nourishing oils (sunflower see oil, jojoba & macadamia oil, meadowfoam seed oil, pomegranate seed oil) as well as ultra fine mica for radiance and to help ‘blur’ away fine lines. Bronze Goddess Shimmering Oil Spray, Estée Lauder (CAN $55.00) | With a mix of nourishing oils for hydration, this spray bears the iconic solar floral fragrance of the brand’s matching Eau Fraîche, and also includes delicately fine shimmer for radiance. Can also be used along hair to add hydration and to tame flyaways. There’s still one scent that is hands down, the master of them all: Bain de Soleil sunscreen, that iconic orange gelée (and its laughable 4 SPF rating … like, why?) that is quintessentially Summer — with its heavenly aroma that just begs to be bottled. I have actually been known to just slather this all over and wear it as a fragrance — it also scores extra credit for the moisturizing feel and soft radiance it gives to skin. But a warning: do NOT think for one moment this will protect your skin from prolonged sun exposure. 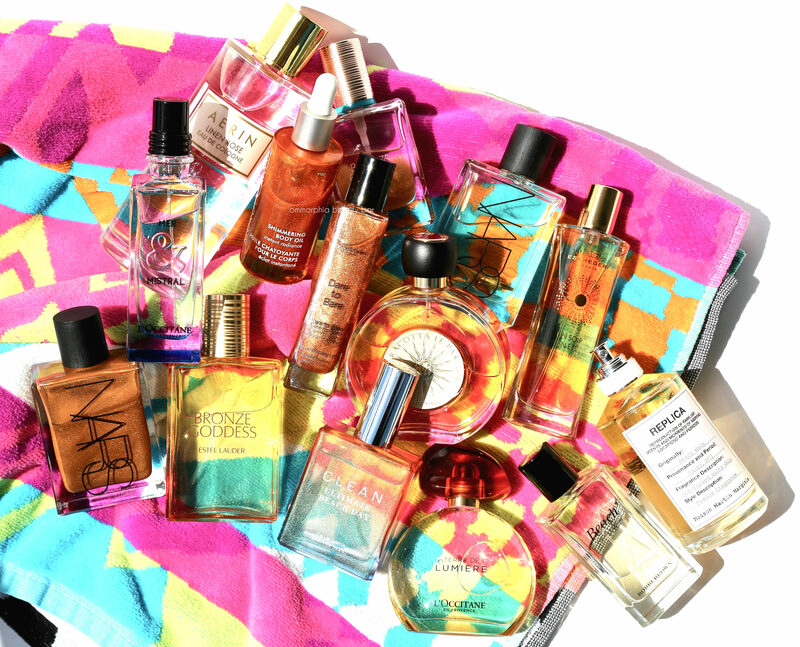 I’m fairly certain that I’m not the only one with a beach-inspired fragrance obsession — let me know in the comments below what your faves are and what else I need to check out! 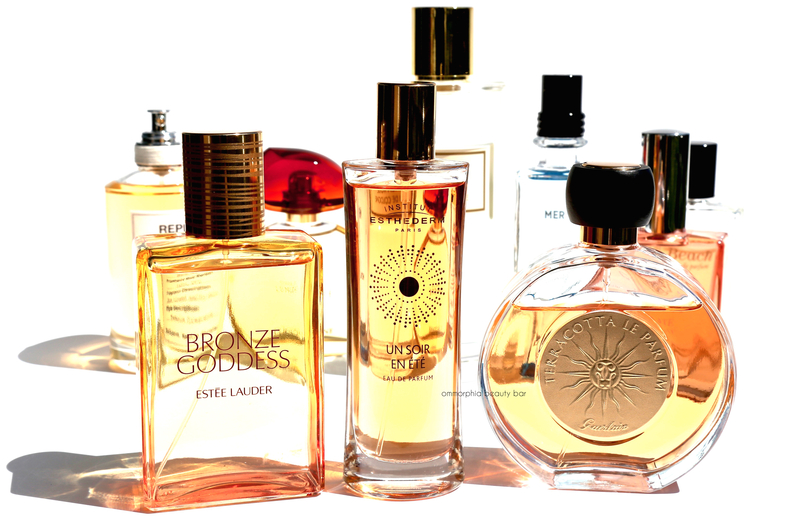 Oh, and if you hear that Bain de Soleil is available in fragrance form, please do let me know! You should try Carnal Flower,i am 100% sure you will LOVEEE it! I’ll add that to the list – thanks! I swear we have the same scent collection. I’m missing only 2 of the set you’ve displayed. Beachy notes are also my ultimate weakness. Two other frags you might want to look into are Sun Saint by Pinrose (Topnotes – Eucalyptus, Lime, Mandarin, Yuzu; Midnotes – Sea Salt, Cashmere, Violette; Basenotes – Coconut Wood, Sandalwood) which came out a few months ago and also Monyette Paris (Tahitian gardenia, French muguet du bois, hints of island vanilla orchid), which is also available as an oil. I used to buy it from a local boutique but can’t find it in Canada anymore, so I order it from LuckyScent now. It’s a nostalgic one I never tire of – it’s kind of like a younger, girlier more playful version of Guerlain’s Terracotta. OMG – both fragrances you described sound amazing and I’ll definitely look into them! There’s one more that I am obsessed with, although to date I still haven’t splurged on a full-sized bottle but I’m going to have to because it’s unbelievable: Virgin Island Water from Creed! Great list. I’ve always wanted to try bronze goddess. Is bain de soliel still available? I had no idea. I never see it anywhere. My mom used that on the entire family in the 1960s. She passed away last year and just thinking of it reminds me of her. Gotta find out where I can get some, like you, just for the fragrance. Ahhh the memories…. Thanks! Bronze Goddess has gone through several reincarnations and every year the scent gets tweaked just a bit; I don’t have any other to compare it to, but I do love this one! As to Bain de Soleil, I have a feeling I’ve seen it here in Montréal but I picked this tube up last year at Walgreens in Florida! 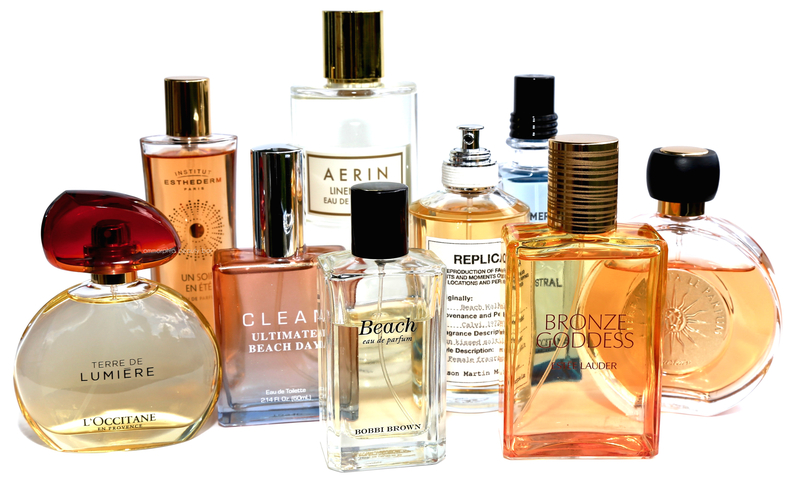 And you’re so right; there’s nothing like a specific fragrance to trigger so many memories and emotional responses. How wonderful that something as small as this can remind you of your mom? ? Wow “Bain de Soleil” sunscreen! My grandmother used to use this. Haven’t seen it around in ages….is it still sold in stores in Montreal? I think I had seen the brand at Pharmaprix, but that was some while back so I’m not sure if it’s still sold here in Montréal. This tube I actually picked up last year from Walgreens in Florida! One I wear all summer: Yves Saint Laurent Cinema Festival D’Ete. Unfortunately, discontinued here but still floating around on the Internet. A lovely light citrusy herbal vanilla eau de toilette. Oh wow — I’ve never heard of this but now I’m so curious to smell it!